A NORTH Belfast man has turned a negative into a real positive in his efforts to help his son and other suffering from epilepsy. 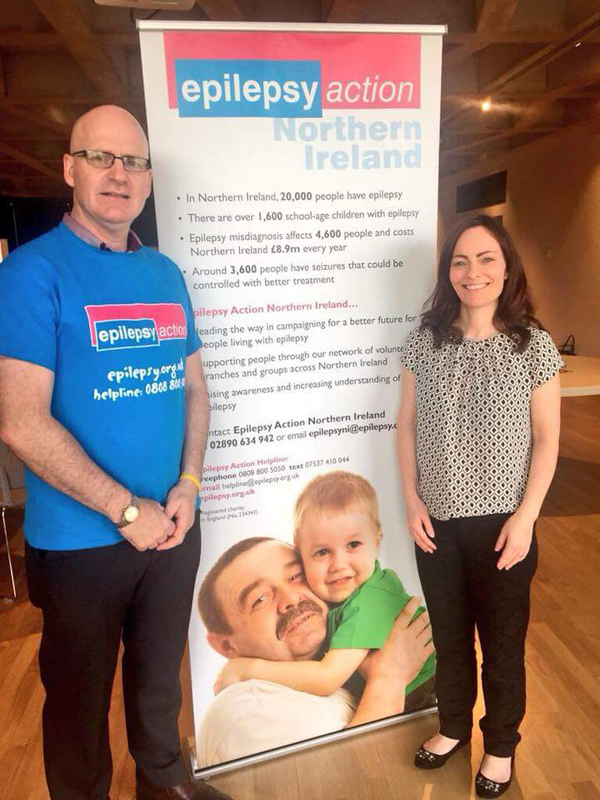 Deegall McKillen, whose son Matt suffers from the condition, organised an awareness event recently Monday at Girdwood Community Hub to coincide with ‘Purple Day’ on March 26 – the international day for epilepsy awareness. Matt, 21, was recently told that he could not use the gym at Girdwood due to his condition. Deegall decided that rather than just complain, he would take it upon himself to use the incident to change the way people with epilepsy are viewed in society. “Matt wanted to join a gym that I’ve been a member for around 10 years,” explained Deegall. “Matt came along and filled out the joining form while I went to train. “About 25 minutes later there was no sign of Matt. He was outside saying he had declared on his application form that he had epilepsy and that meant the gym wouldn’t let him join. Deegall resolved not to leave it at that. “I decided to contact the leisure centre and explained that I wanted to hold an epilepsy information morning on Purple Day 2018 at Girdwood Community Hub. Deegall welcomed members of the public to the fundraising event to talk to volunteers from Epilepsy Action Helpline charity. All funds raised will go towards expanding the charity’s helpline service. Deegall also organised for Stormont’s Parliament Buildings to be lit up in purple to mark epilepsy awareness day.